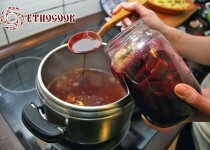 Borshch (Borscht, Borsch) is the famous all over the world Ukrainian food. 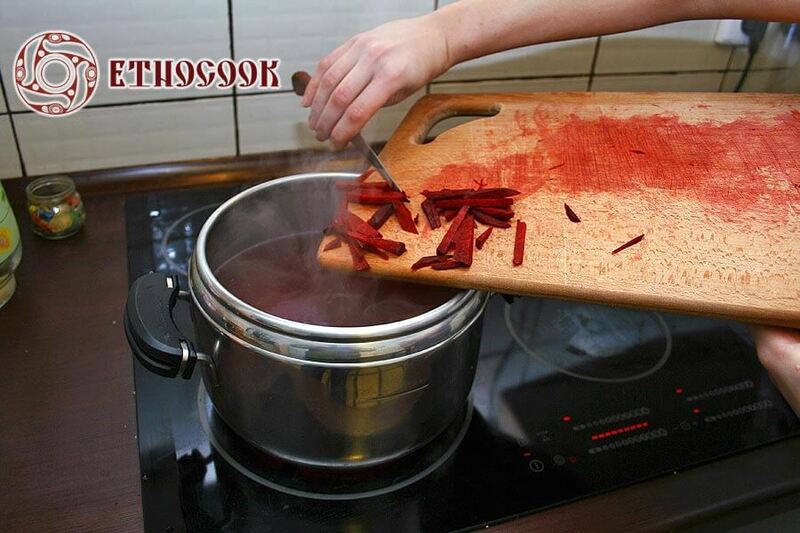 It is the vegetable soup with red beets that usually includes more than 10 ingredients. 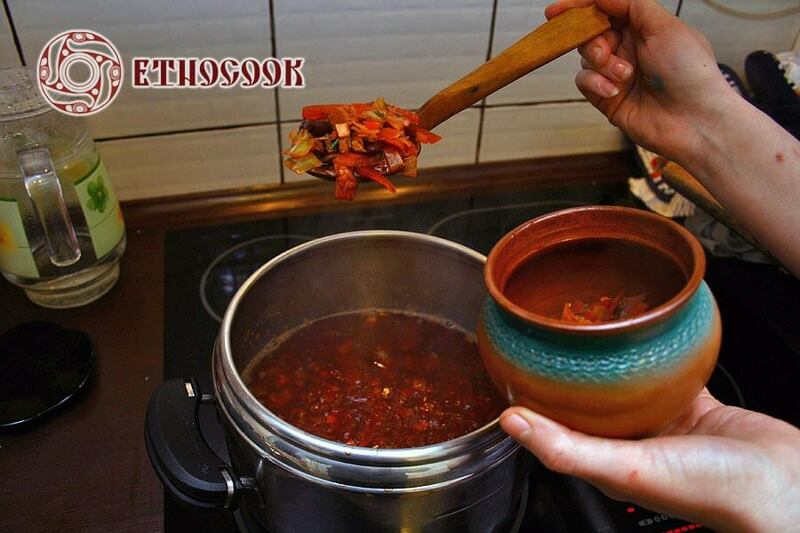 Borshch (Borscht) and Varenyky are well known symbols of Ukrainian cuisine. 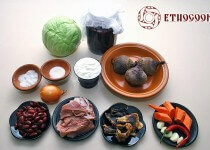 Borshch is the everyday and ritual dish in Slavic cuisine . It is known from early Kyiv Rus times but it was prepared by Slavic people much more time ago. 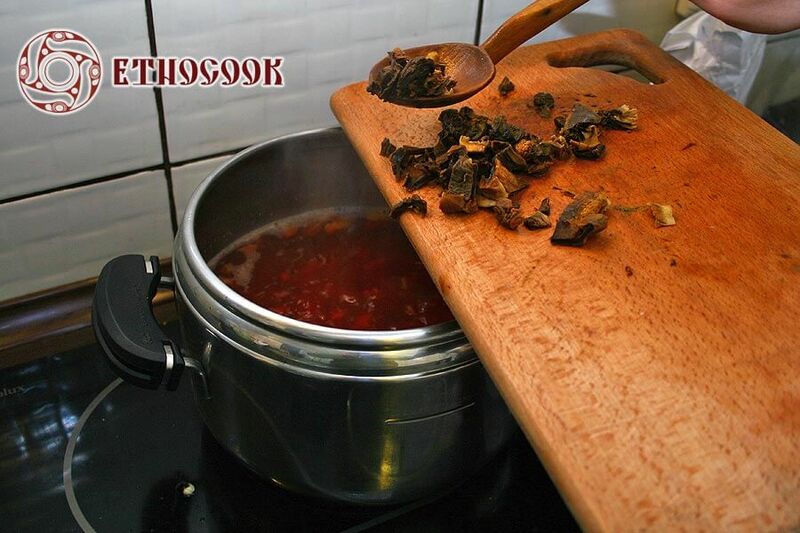 Everyday Borshch is simpler and consists of less number of ingredients. It could be prepared on meat broth or fish broth or just vegetable broth. 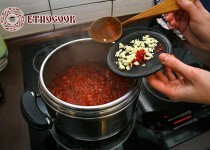 Ukrainian people added stewed onion with some fat and meshed garlic to everyday Borshch. On holidays and Sundays it was served with the sour cream. Special was the ritual Borshch that was made for weddings and funerals. 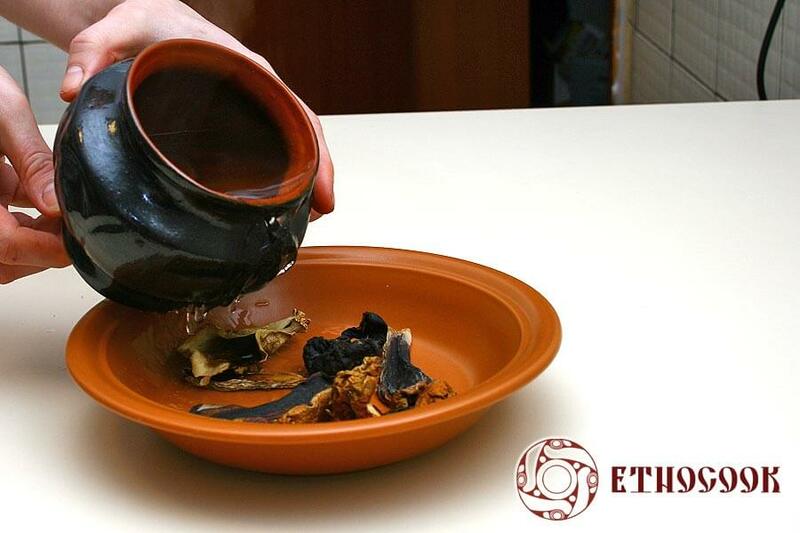 The whole process of preparing this very symbolic dish was like magic. 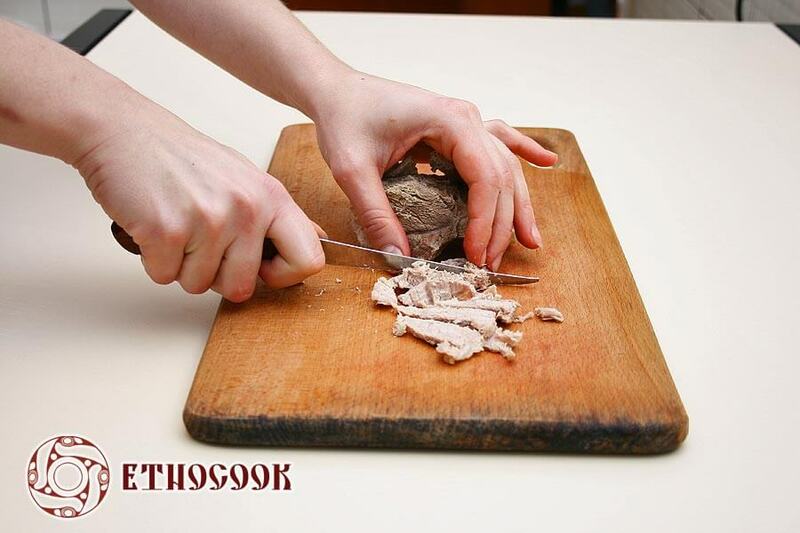 Borshch is so very special Ukrainian dish that means to Ukrainian people a lot. For example, in Washington, USA, on March 6, 1953, the waitress at the restaurant “1203” Eileen Keenan was inviting everyone to enjoy “Free Borshch” in celebration of the Soviet Union’s dictator Joseph Stalin‘s death. 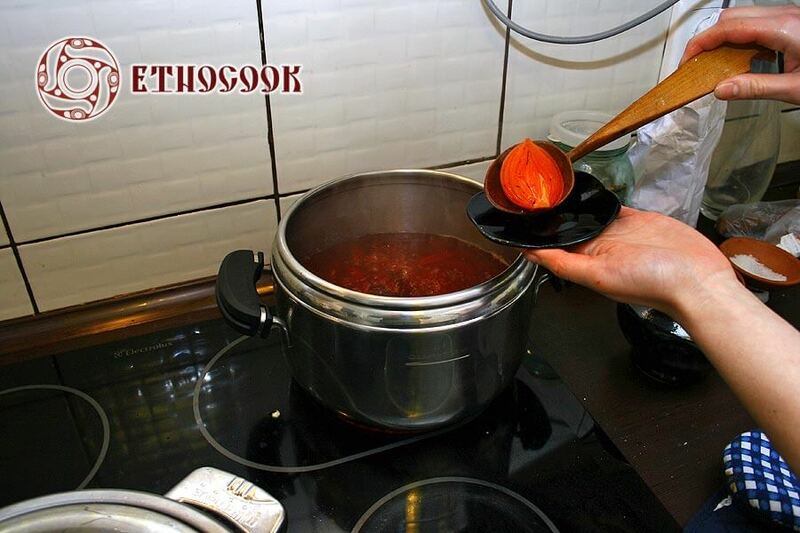 There are different types of Borshch and the way to prepare it differs from region to region and in every family there is a unique recipe. There are three main types of Borshch. 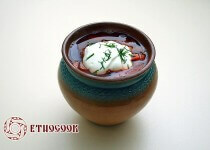 The first is the real Ukrainian Borshch that is the most popular. The second is Green Borshch that is made on Spring and Summer when there are new plants. 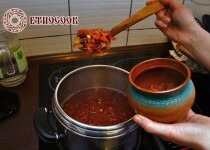 And the last is Cold Borshch also known like Holodnyk that is made usually during hot summer and it is served cold. 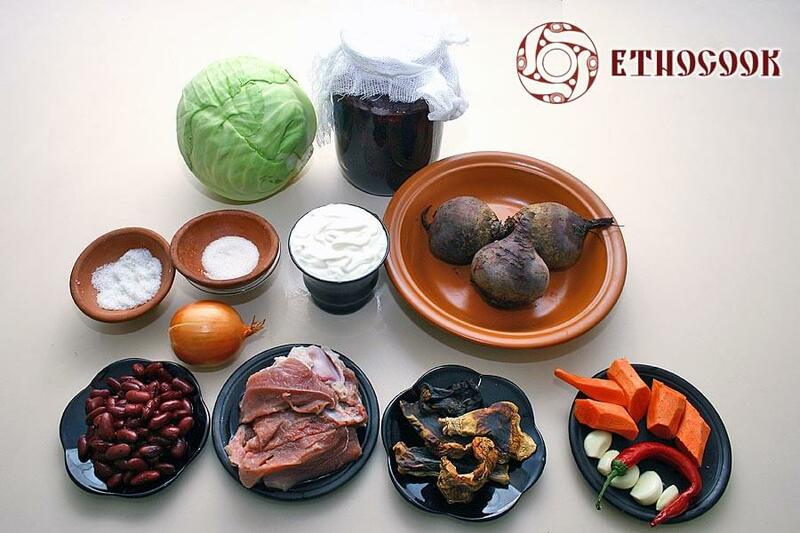 There are a lot of different ingredients added to Borshch but the most common were broth, red beets, cabbage, carrot, mushrooms, beans, onion, garlic and Beet Kvass. People got used to add potato to Borshch from XIX century because there was no potato in Ukraine before this time. Also in ancient times no tomatoes or acids were added. 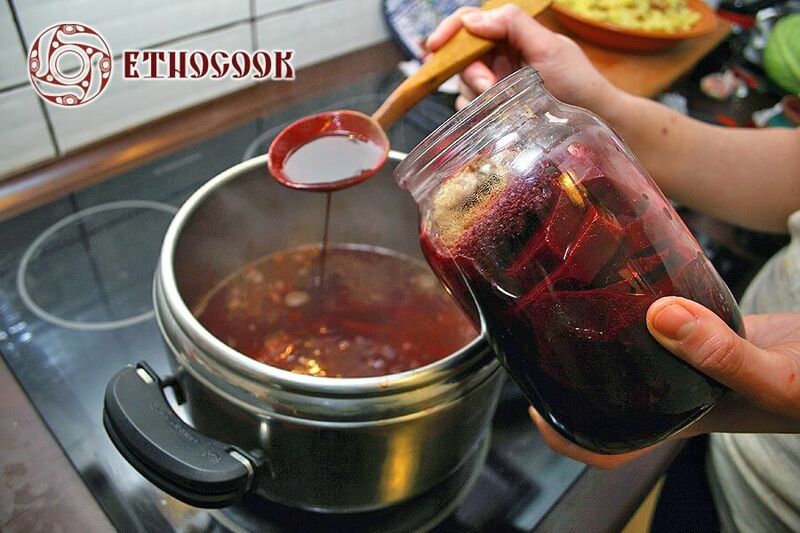 In Borshch was added homemade Beet Kvass that is very healthy and tasty beverage. In fact Ukrainian cuisine is so great that is famous all over the world. For example, in Japan healthy, nutrient and light dishes are widely spread and Ukrainian vegetable soup Borshch with sour cream becomes more and more popular. By the way, the Ukrainian red beetroot soup Borshch (Borscht, Borsch) will be added to the list of intangible cultural heritage of humanity by the UN specialized agency UNESCO (the United Nations Educational, Scientific and Cultural Organization). 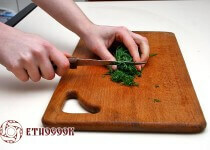 Prepare all ingredients for Borshch, bowls, plates and utensils. 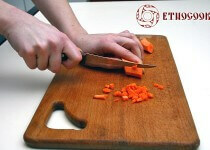 Wash and peel vegetables. 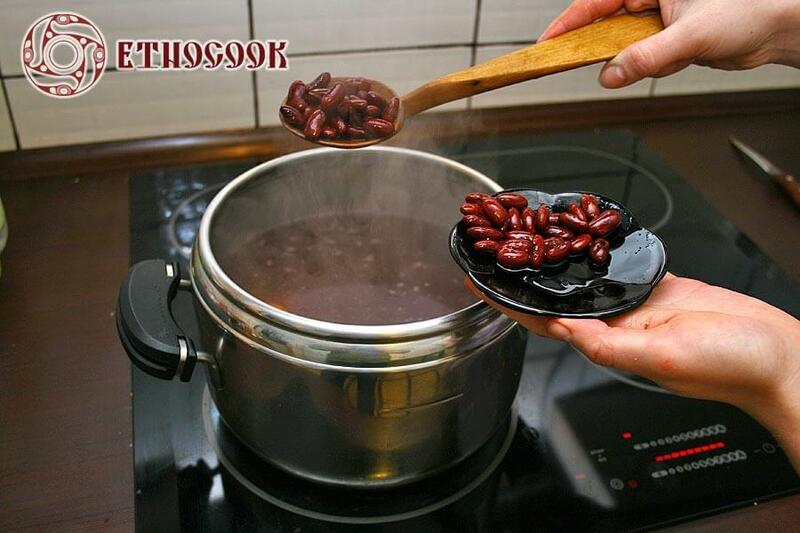 In two deep bowls put separately dried beans and dried mushrooms, add water to the top level to cover ingredients and leave them for 4 hours (During this time the broth would be preparing). Wash the fat meat with bones, put in a large pot and fill with four litters of cold water, bring on high heat to a boil, reduce to a small fire and cook for about 2 hours, all the while removing the broth foam from the top. Then separate the meat from the bones, cut into portions pieces and put them in a separate plate, bone broth cook with bones on low heat for another 2 hours. 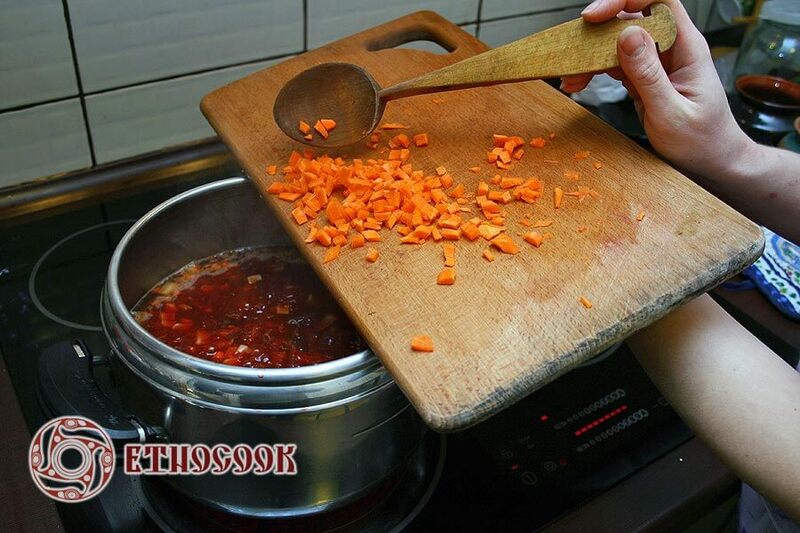 At the end of the cooking broth should be 2-2.5 litters, which means it reduces by half. 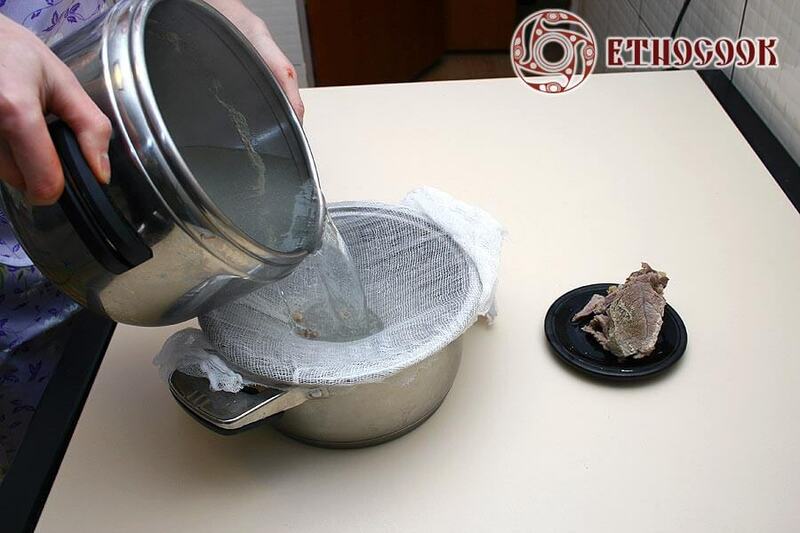 Strain the ready broth through cheesecloth, take out the bones. 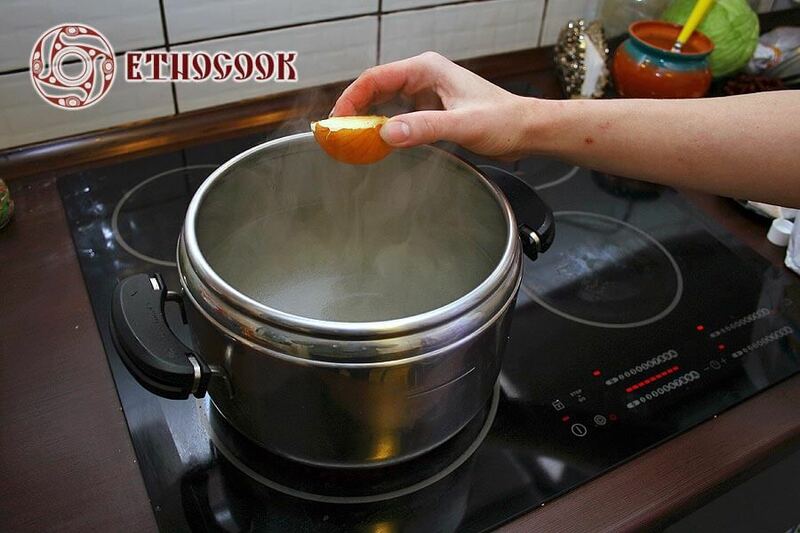 Wash the pot, put the clean broth into clean pot and make a low heat. 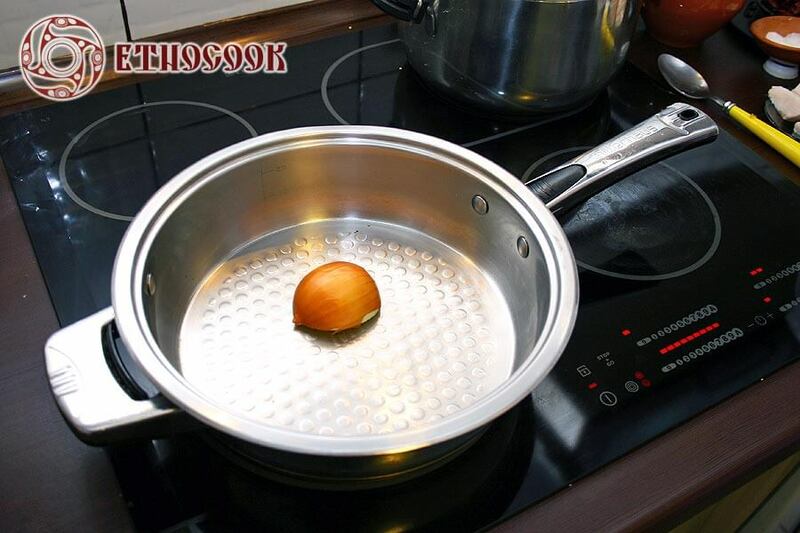 Cut the onion into two pieces and put one piece into warm frying pan for two-three minutes. 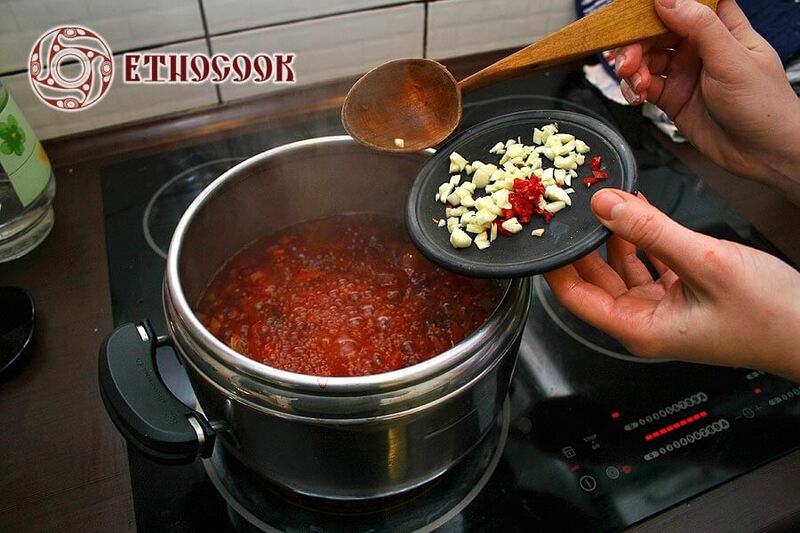 Put the fried onion in the Broth for special flavour at the beginning of preparing Borshch. Drain the water and put wet beans in broth, prepare on low heat. 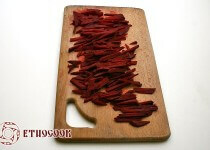 Cut red beet by segments and then by straws. Put cut red beets in broth in 15 minutes after beans. Cut carrot in slices and then in small pieces. 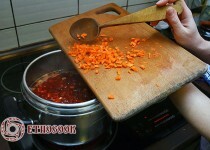 Add cut carrot to all other ingredients in pot in 5 minutes after beet. 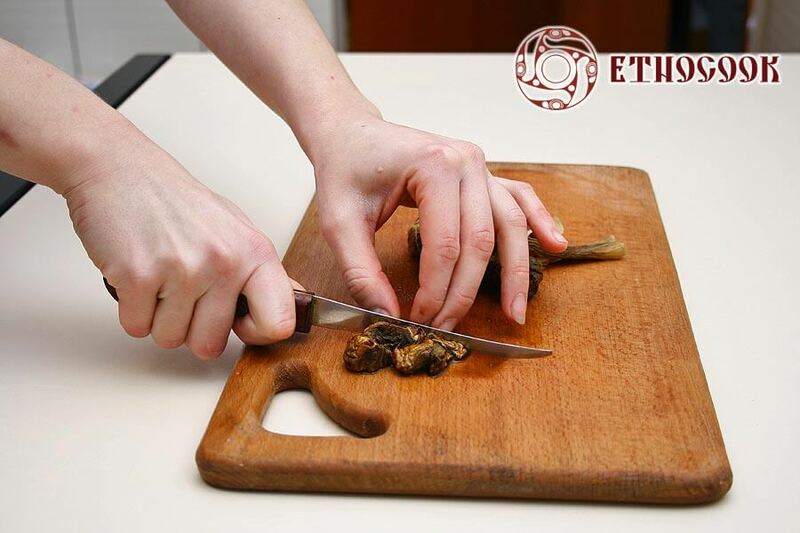 Drain the water and cut wet mushrooms in small pieces. Add mushrooms to Borshch in 15 minutes after carrot. 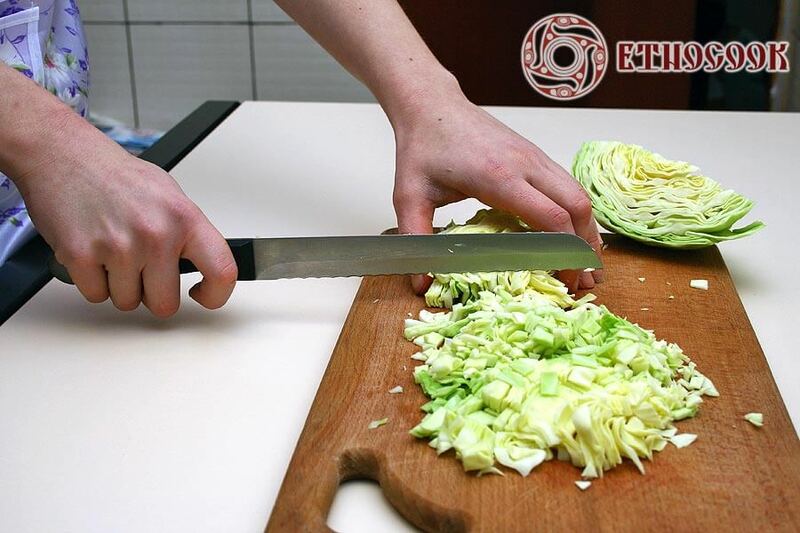 Chop cabbage into slices and then in squares. 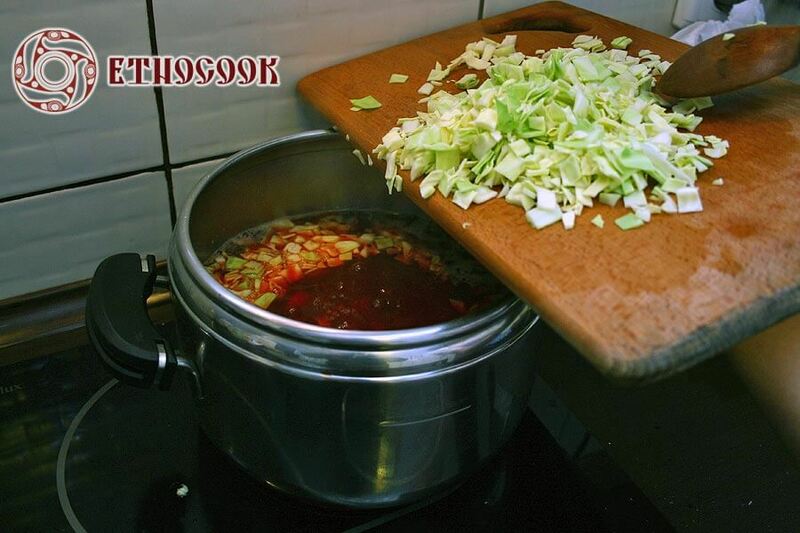 Put chopped cabbage in Borshch in 5 minutes after mushrooms. 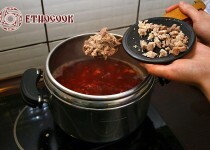 Thinly slice cooked beef and then cut in little cubes. 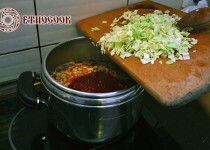 Add meat to Borshch in 15 minutes after cabbage. Take onion and bay leaf from Borshch. Add garlic, red pepper, salt and sugar to taste. Cook all ingredients 15 minutes on low heat. 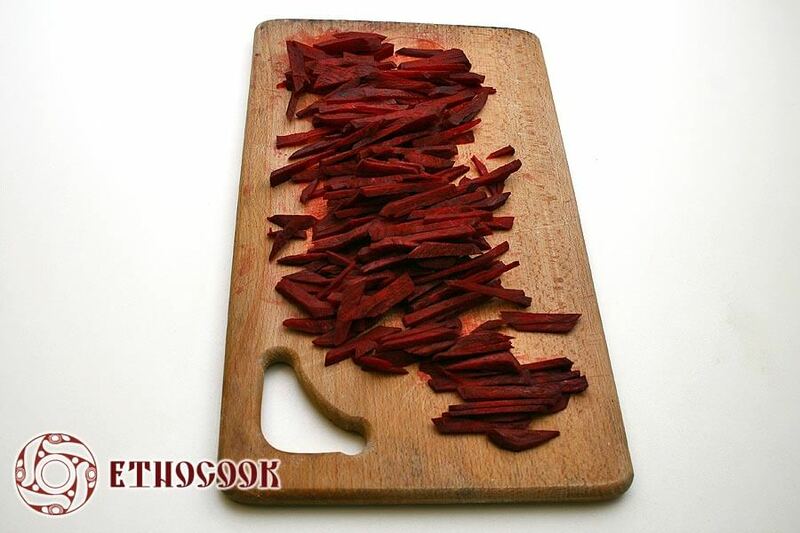 Add Beet Kvass to Borshch. Switch off heat, close the pot and put in warm place for 1 hour. 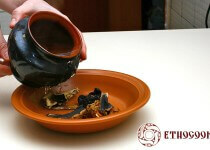 Serve Portion of Borshch in a clay pot. 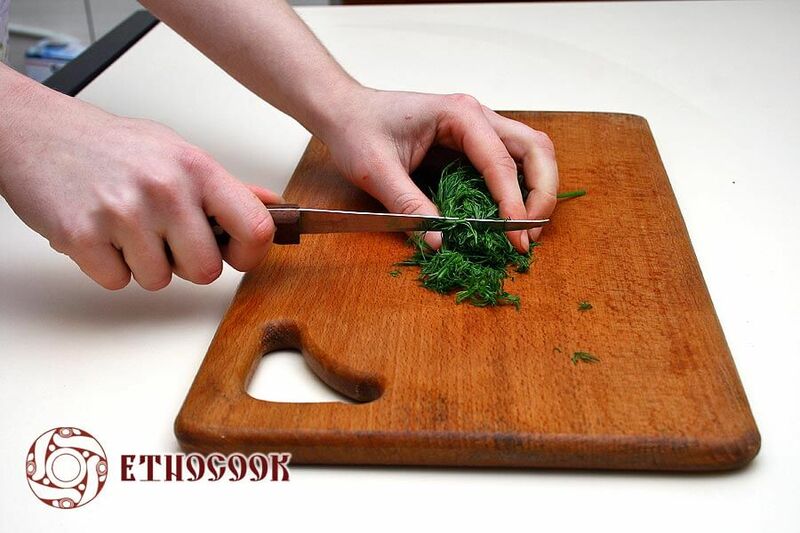 Cut dill. Serve cooked Ukrainian Borshch with dill and sour cream.